Top 10 points why use indana bolts in infrastructural setup? Indiana Steel is a leading supplier and exporter of Stud bolts, ASTM, A193,B7, Hex Bolts, globally. India is getting set for developments in infrastructure. With the "Make in India" initiative gaining momentum, much is expected to happen in the infrastructure and construction sector too. With so much expected to happen the role of high quality bolts will play a role of prime importance. 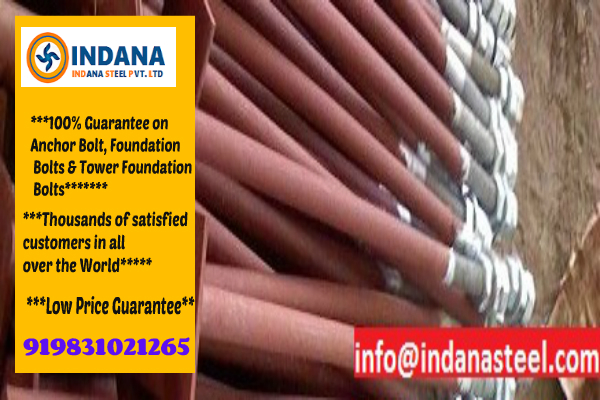 We will make you aware about the top 10 points why you need to use Indana bolts in the present infrastructural set up. Why high quality bolts and fasteners so important across various industries? No matter what you construct you need strong bolts for providing strength. If you are building bridges they need to withstand the weight of cars, trucks, and heavy vehicles. The efficiency of what you build does not only depend on the types of materials you use. The right bolts to fasten the sections of the bridge are important for maximum efficiency of your project. They are the ones which can make or break your project. The nuts and bolts used to a large extent determine the durability of the structures which are constructed. If poor quality nuts and bolts are used they become susceptible to rusts, cracks, wear and tear. So the durability of the entire structure is at stake. SO you must use the best quality nuts and bolts. When your nuts and bolts do not work properly the safety of the entire structures of roofs, bridges and mega structures are at great risk. So the very safety of the project is at risk. These may even cause loss of lives. It is therefore most important that the fasteners used for the projects are of the highest standards to ensure maximum safety. They need to manufacture with the best materials. A lot is at stake when you undertake any project. Apart from the great safety issues involved it is a matter of your reputation as a construction company. Thus you cannot afford to compromise. You therefore need the best quality nuts and bolts from Indiana steel. The quality of the steel used for the bolts are also very important in regard to their quality. They must be of the highest grade of steel. They are best in terms of formability, are best welded and corrosion resistant. All these together bring about maximum strength and best quality. For bolts and fasteners it is of utmost importance that the ones used exactly match the requirements in terms of measurements. The Indiana steel bolts match the measurements by all means be it in terms of diameter, threads or thread pitch. This ensures best maximum efficiency and strengths for all projects. Being a leader in the field we manufacture and supply bolts and fasteners for wide range of industries. These range from construction, Petroleum, Chemicals, Construction, Real Estate, Production, Machinery, Instrumentation, Automobile. So no matter which industry your business may be in we supply for all. The range of products we supply is large. So we are the one stop solution for all your needs in terms of fasteners. Our Products include everything from angles, beams, channels, fasteners, studs bolts & nuts. The chemical combinations used in our bolts are not reactive. This also ensures maximum durability. We have been in the field of fasteners for more than 38 years and are thus you can make best use of our rich experience for the success of all your projects.